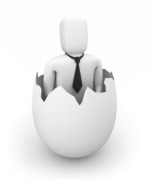 Company Partners Blog » Where have the business incubators gone? Where have the business incubators gone? At one time business incubators seemed to be mentioned in the business section of every newspaper. Now they have a much lower profile and you might be forgiven for wondering what had became of them. Since they tend to be focused on high growth, technology or knowledge-based industries, it’s not surprising that during the hay day of the Internet and emerging biotech industries, business incubators had a greater visibility – but they are still out there. Now I’m a great fan of these centres. In one place you not only get subsidised rent for very well outfitted office space, but also access to real expertise and advice. Naturally you have to check out just what you are getting. Some, I have to say, are better than others, but the best will provide outstanding support that will increase your chances of rapidly growing and making a success of your new venture. So how do you know which is the best one and importantly which one is best for you? First, consider where your business is to be based. Most business incubators (some are called Innovation Centres) have a regional focus. Then look for one that may specialise in your industry, they are more likely to be of specific help when looking for suitable experts or contacts. Judge how they respond to you when you make contact and then meet up with them and see whether you could work together. How open are the support staff and how accessible is the industry expertise? When we recently did a survey of business incubators and innovation centres, most were very helpful, but some ignored us completely and one was actually very arrogant. I know which I’d rather work with! So is a business incubator for everyone? Well, no probably not. If you are opening a restaurant, a shop, or a courier company for instance, then they probably are not suitable. If however you have a knowledge based, high-tech, or creative industries business then they are ideal. If you’d like to read more about business incubators and innovation centres, or are interested in finding one, have a look at the survey that we recently completed. There is a list of incubators there and we are adding to it all the time – Business Incubator & Innovation Centre review and listing.